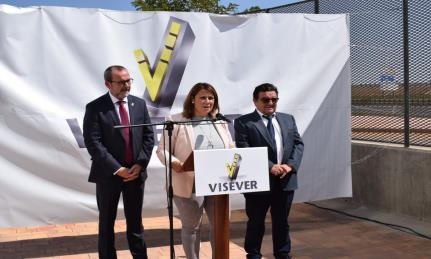 The new VISEVER paints factory starts officially operating in September 2017. This new plant represents a significant effort to satisfy our customer´s needs as we will double our production capacity and we will speed up the production, packaging and loading process. The new plant becomes one of biggest in Europe and keeps supporting quality and rfficiency at all production stages working with finest raw materials and suppliers since 1995. The factory was officially inaugurated by the Regional Infrastructures councilor Mrs Agustina García and Villarrobledo City Major Mr. Alberto González on 20 September 2017.